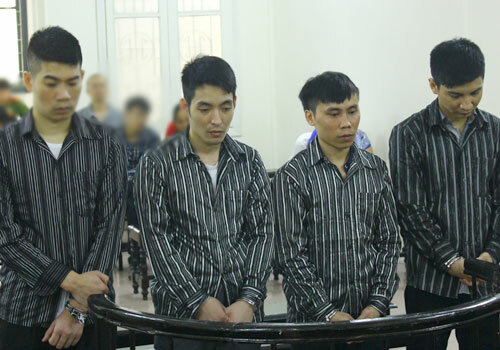 HA NOI (VNS) — Two motorbike thieves were sentenced to a total 26 years for stealing 18 bikes in Ha Noi over six months, the city People's Court said yesterday. Luong Ngoc Thanh, 31, from Phu Tho Province, was the lookout, while Pham Duc Cuong, 30, from Quang Ninh Province, used a lock-picking tool to steal motorbikes from August 2013 to March 2014. Most of the stolen motorbikes were upmarket vehicles such as Spacy, SH and Airblade, worth more than VND560 million (US$26,000). Cuong and Thanh were given 14 and 12 years in jail, respectively.